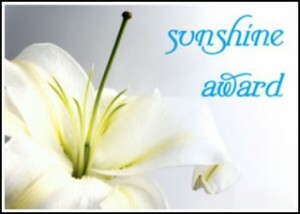 Elle at Eat, Run, Sail nominated me for a the Sunshine Award earlier this week. Elle was one of the first blogs I followed and I have always enjoyed it. She also has a food blog called We Can Begin to Feed where she posts lots of great recipes. If you haven't already check her out! Best childhood memory? Wow this is a hard one. I have so many great childhood memories. I would say lots of my favorite ones were working on the ranch with my family while growing up. We spent a lot of time horseback chasing cows, building and fixing miles and miles of fences, and hours were spent in tractors going in circles around fields. Nicest time of year? Fall! Love the cooler temps and the way the air smells. It all feels so amazing after being cooked in the summer. Favorite flower? Wild sunflowers. So cheerful along the sides of the road. Scary food you would never ever even taste? Haggis, balut, cockscomb, and bat paste. Zodiac sign? Sagitarius, the archer! What spice would describe you? Nutmeg. Snooze button or jump out of bed? Jump out of bed. I love morning! I love my quiet time in the morning before anyone else is up. Morning drink? Coffee with milk. Cow milk, coconut or almond sometimes with whipped cream. Just give me my coffee! Secret crush? Oddly Tim Tebow, and I am not that big of a football person, I just really thought he was awesome. So sad to see him not stay with a team, he is a class act. Kim @ Just Trying is for Little Girls just did a half marathon in Montana!! Missy @ Southern Girl Running just started training for a fall race! Xaarlin @Pain is Nothing about to run a marathon and be amazing!! Courtney @Third Times a Charm she just got a super cute puppy. If you could time travel to live in another time for a year, what year would you go to? What is your dessert of choice? Do you like uniquely spelled names or traditional (ie Sarah vs Cerah)? If you had to pick one brand of running/workout clothes what would it be? Favorite way to workout at home? Sorry to have missed you in Billings. Your town is terrific! Ooooh, good questions, Christy. Thanks for the kind words... yours is one of the first blogs I started reading too. Thanks for the tag, girlie! Awesome questions! It may take me a bit to get mine done but I will. Thanks again! I am such a snooze button girl!!! My hubby hates it!! SOOOO FUN!!! Thanks for the tag! And I love wild sunflowers! !